On Independence Day, when Prime Minister Narendra Modi rattled off numbers citing a sharp increase in the number of taxpayers filing income tax returns, and attributed the same to demonetisation. The estimates raised quite a few eyebrows. He said that 56 lakh returns were filed this year from April 1 to August 5, which is more than double of last year's 22 lakh returns filed in the same period. He claims that on account of demonetisation many outside the Income Tax radar were forced to file returns. Is there indeed a jump in the number of I-T returns? If so, is it owing to demonetisation, as the PM claims? On the increase in tax returns, the PM is not off the mark. He is quoting official figures released by the Income Tax department which states that the number of income tax returns filed as on August 5, 2017, stands at 2.83 crore, as against 2.27 crore filed during the corresponding period of last year - an increase of 25 per cent, much higher than the 9.8 per cent growth recorded last year. The I-T department, too, believes the rise in the number of returns is thanks to demonetisation and 'Operation Clean Money'. However, several experts, including former income tax department officials, disagree. They say that an upsurge in the number of returns filed is recorded every year and it would be wrong to attribute the increase to demonetisation alone. Though it may have aided the increase in numbers, several other factors are at play. The lower growth rate of 9.8 per cent in the number of returns filed in 2016 (from April 1 to August 5, 2016), experts say, could be due to the extension in the date for filing returns in 2015 (September 7), making the comparison with the numbers in 2016 a little skewed. In 2015, the number of returns filed registered a growth of 26 per cent over the previous year when August 31 was the last date for filing returns. Rani Singh Nair, former chairperson of CBDT, says that the number of people filing returns would keep increasing as better tracking mechanisms come in, more and more people join the formal economy and filing returns online becomes convenient. It is, therefore, difficult to assess the exact impact of demonetisation in widening the tax base. The Economic Survey Volume 2, quoting figures till March 31, 2017, states that demonetisation may have led to an addition of about "5.4 lakh taxpayers or 1 per cent of all individual taxpayers in just a few months". As per the report, the addition to the reported taxable income (of these new taxpayers) was about `10,600 crore. The I-T department later clarified that the growth in the number of taxpayers reflected in the survey is based on the number of new taxpayers, assuming the previous year's growth rate as the reference growth rate. The growth of individual return filers referred to in PM's speech, meanwhile, refers to new as well as old taxpayers. Meanwhile, even as the number of returns filed is seeing a healthy growth rate, it is not reflecting in the direct tax collection rate. 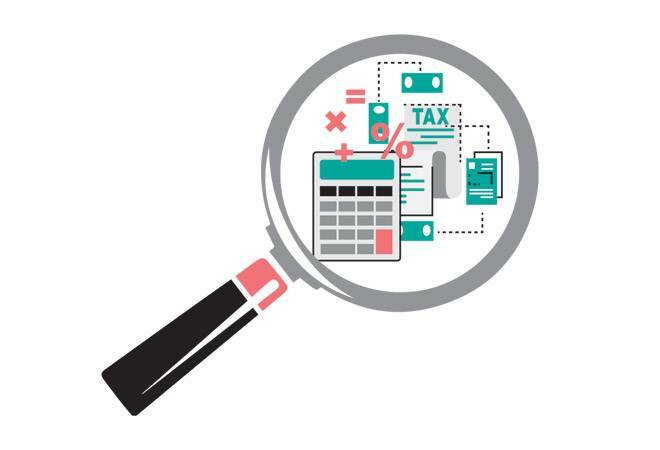 According to CBDT, the net direct tax collection up to July 2017 in 2017/18 stood at `1.90 lakh crore - 19.1 per cent higher than the net collection for the corresponding period last year. However, during the same period last year, the direct tax collection showed a growth of 24 per cent. Nair says that there is a need to not only widen the tax base, but also deepen the tax base. "While more number of people are now filing returns, it is also necessary to see if all those who are filing returns are disclosing their full income and paying taxes on them.